Painted in acrylic in a little bay-window grotto of a kitchen. 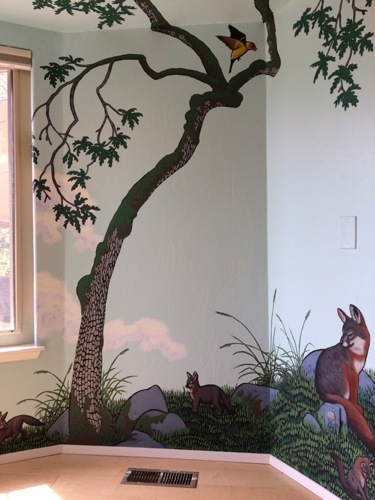 This mural also spanned across the ceiling, over the kitchen sink nearby and lured you in with a blue bird "perched" on the trim of the home-office door. 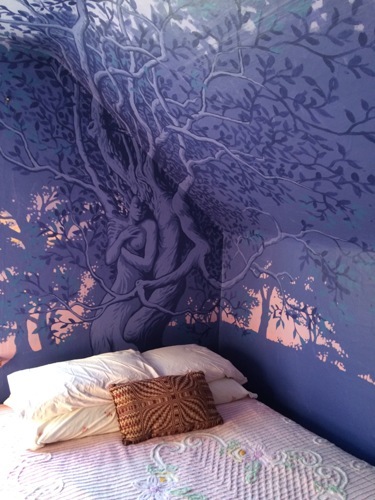 Painted in acrylic over four walls and the ceiling. 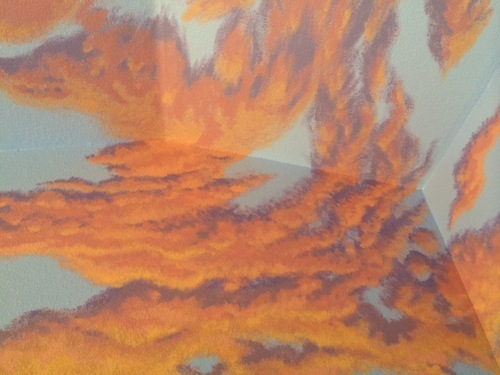 Painted in acrylic on three walls and the ceiling. 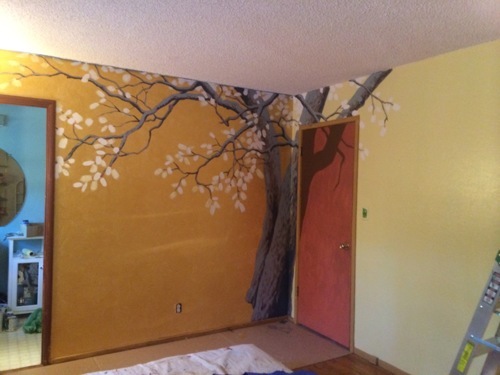 Painted in acrylic over three walls and a little bit of the ceiling. 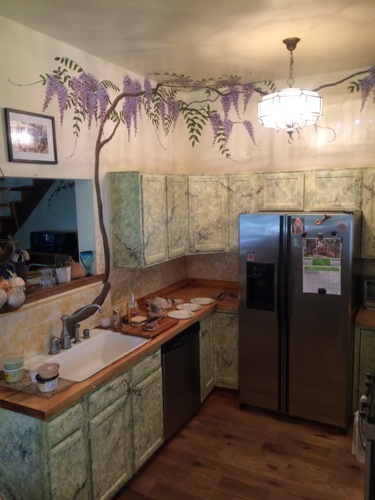 Kitchen cabinets were also painted a faux-marble with the client. 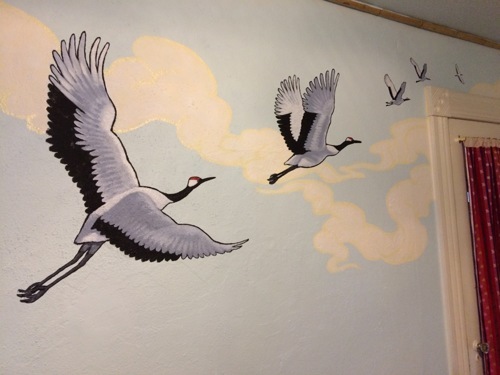 Painted in acrylic over three walls and the ceiling. 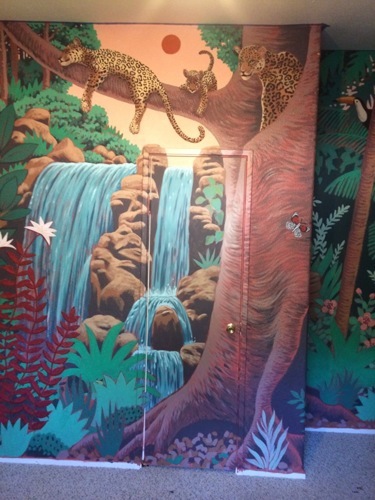 Painted in acrylic on four walls and across two doors. 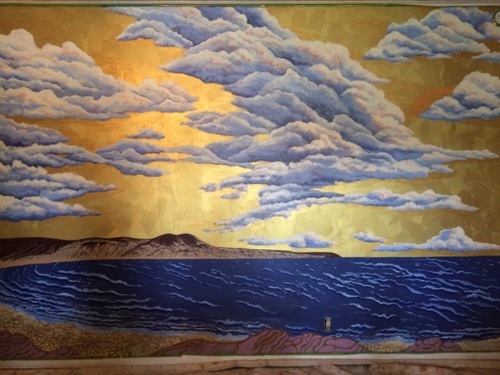 Painted in acrylic over two walls, this mural features an iridescent gold wall. Painted with with white acrylic over blackboard paint. This was the original menu board at local bakery and brewery. Painted in acrylic over iridescent gold acrylic on one long wall. 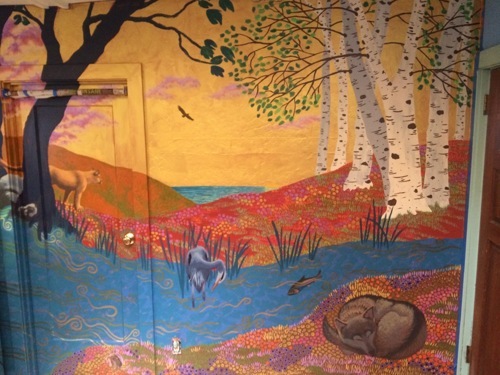 This mural was made collaboratively with Heather DeViveiros. Painted in acrylic on two walls, two doors and over (and behind) one fish tank cabinet. 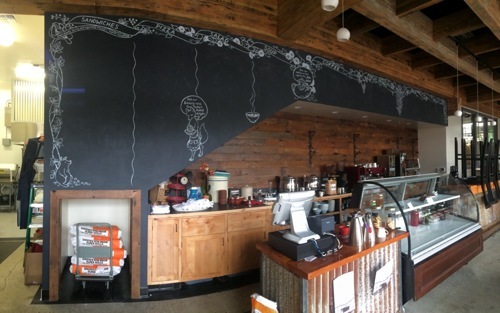 This mural was made collaboratively with Heather DeViveiros. Painted in acrylic with some irridescent accents across one long wall surrounding a brick hearth. 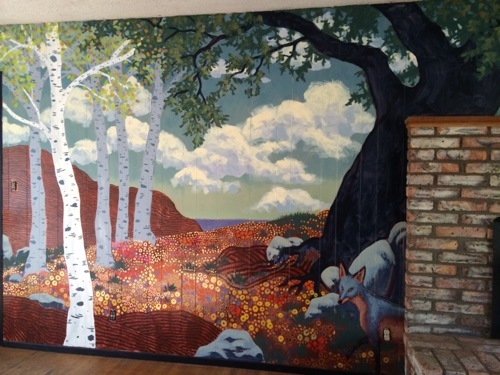 This mural was made collaboratively with Heather DeViveiros.